The most advanced GUI configuration tool for the Asterisktm PBX. We focus on working with the functions in Asterisktm instead of trying to work around it. This helps provide better understanding of the way Asterisktm works, and creates an unmatched level of flexibility that no other GUI can provide. Gain one of the best bargains with our bundled support for dialplans and configurations. 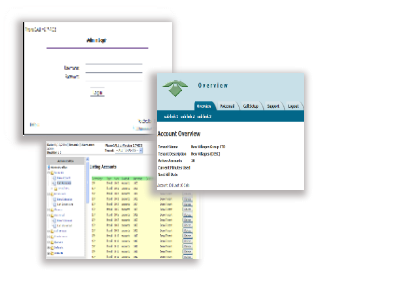 Not only to you gain a power administrative tool for configuring your Asterisktm server, a user portal for all your accounts, and a tenant management portal - but you also have the support team of VecSector, LLC here to assist you. While most companies leave you after 30 days, with PhoneCALL, you will have 335 more days of support left! And yearly renewals are the most affordable on the market with another year of support for only $99/year. Contact us today toll free if you have any questions.